Famous network of routes across Europe, converging on northern Spain, all leading to the Catholic pilgrimage site at Santiago de Compostela. Choice of routes all several hundred kilometres passing through varied countryside. Meander across plains, crossing beautiful, remote mountain ranges. Stay in villages and towns along the way. Examine a plethora of cultural gems. 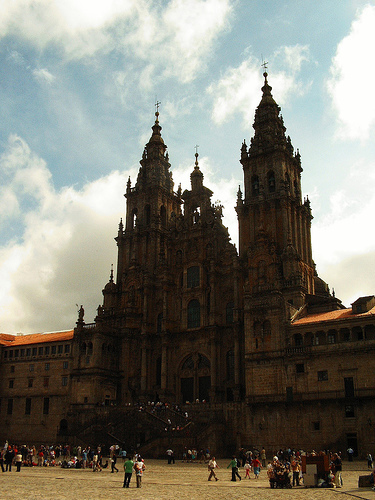 End up in the great pilgrim city of Santiago deeply spiritual for some, moving and thought-provoking for all. 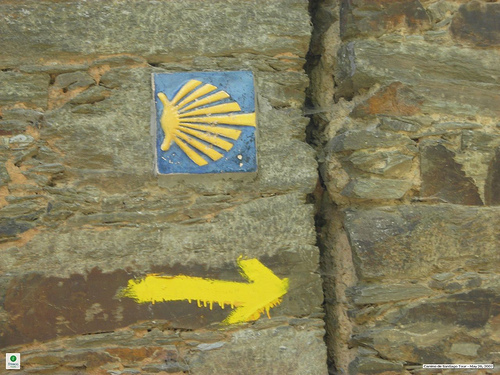 The Camino de Santiago is actually not one trail, but dozens, leading across Europe and converging on the Christian pilgrimage site, the stunning Santiago de Compostela, in Galicia, Northern Spain. Within Spain, there are a dozen official routes, the most-walked of which, The Camino Frances, covers some 780km from St. Jean-Pied-du-Port, near Biarritz, France, to the shrine. 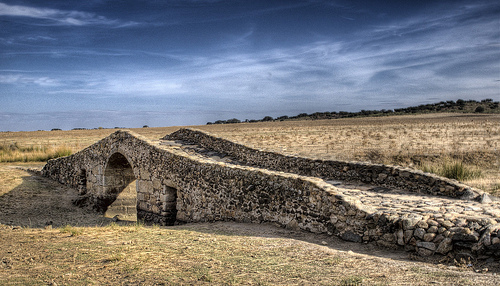 Though it reached the height of its popularity between the twelfth and fourteenth centuries, archaeology shows that there has been a pilgrimage route here from prehistory, and the Roman trade route to the Atlantic, the via Lactea, also followed, roughly, the Camino Frances. Its religious use had all-but died out by the 1980s, and was, ironically, revived by the paths increasing popularity with leisure walkers, now hosting some thousands of pilgrims each year once more. Being so long and so varied, this is a hard route to sum up, except in terms of its extraordinary historical significance. Its many branches, well-marked with bright yellow arrows and scallop shell motifs, afford experience of everything Northern Spain has to offer, from great historic cities, through wild mountain landscapes, the hot central plain, the delightful wine country of the Rioja, bucolic farming idylls, rough coastal paths and small-town treasures, to the blowsy, elegant faade of the reputed burial-place of St James, who, almost single-handedly, apparently, drove the Moors from Spain several centuries after his death. 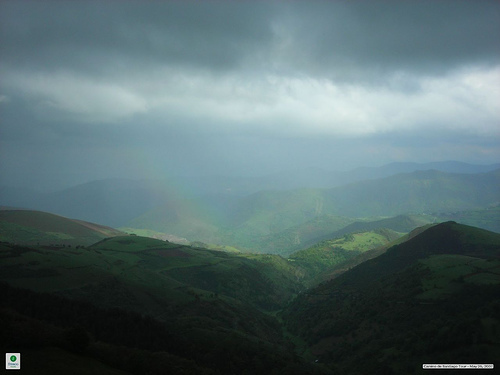 The Camino del Norte, which follows the northern coast, north of the stunning Picos de Europa. The Via de la Plata, the ancient route northward through Spain. The Via Jacobi (the route through Switzerland). 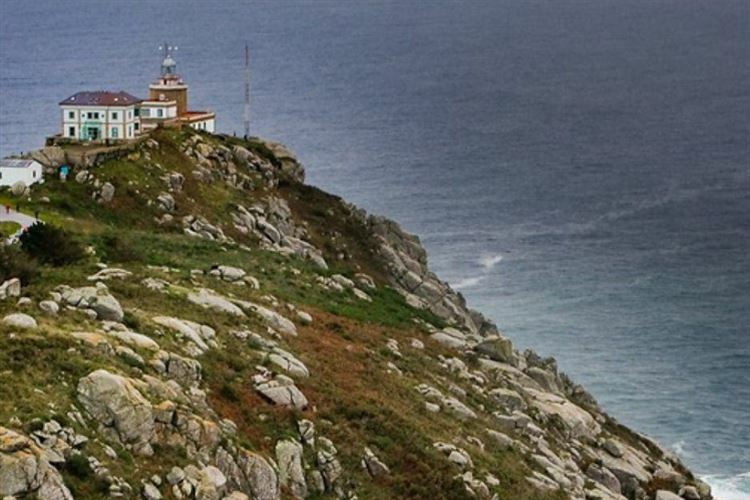 The Camino Finisterre: after visiting Santiago de Compostela, many pilgrims then take the opportunity to do the three-day walk, via Negreira and Olveiroa on to Finisterre which, as it name suggests, was widely thought to be the end of the world in ancient cultures (though in fact Portugal boasts Europes most westerly promontory). 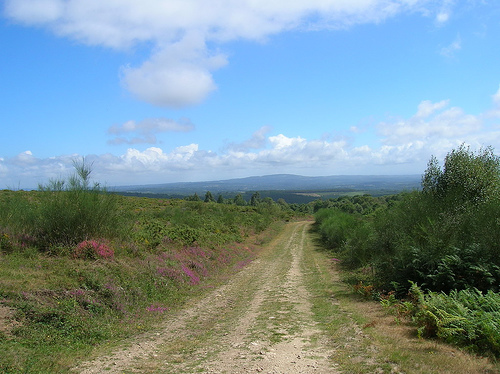 This is a lovely, green, 81km walk, far less populous than the Camino Frances, but refugios are rather inadequately placed, meaning that it has to be divided into one easy, flattish day of 21km and two quite punishing, more uphill, days of 30km. Being easily accessed by bus, Finisterre itself is quite crowded but its great western sunsets are justifiably famous. Source: Manfred Zentgraf, Volkach, Germany; licensed under Creative Commons Attribution-Share Alike 3.0 Unported at Wikipedia.org. “The Pilgrim Trail to Santiago de Compostela, which runs (amongst other routes) from Le Puy in SW France 1000 miles to Santiago de Compostela in NW Spain. But for a few days of moderately strenuous walking it is more a test of commitment than strength. 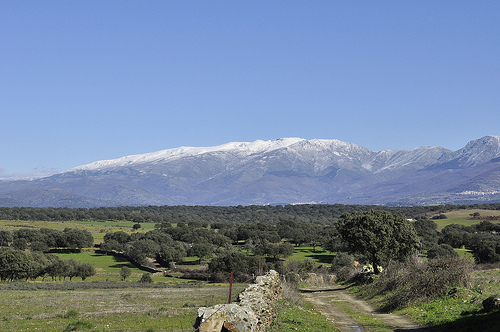 Central Spain can be HOT or COLD. 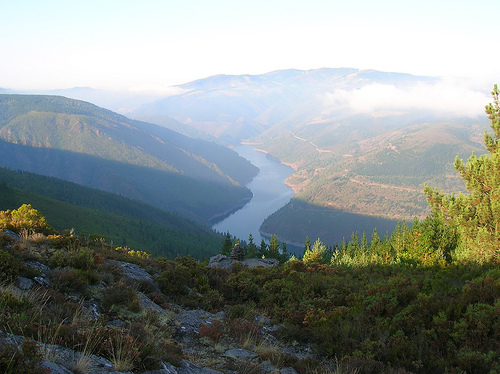 And some of central Spain is flat and boring. 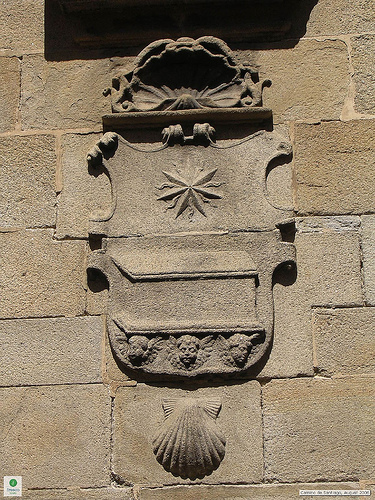 But Santiago and such as Leon and Burgos and Pamplona are great cities with great traditions and structures. Some of us think the cathedral in Leon is perhaps the world's greatest Gothic church. 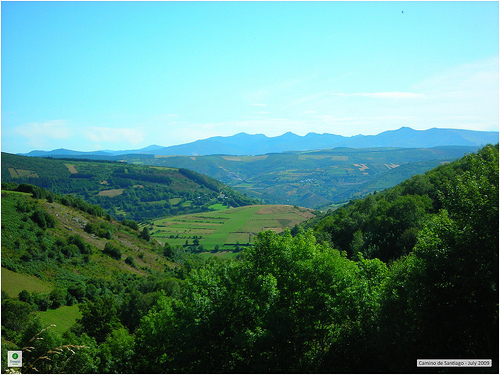 The 500 miles in France runs through some of the beautiful landscapes in France. You can do it all at once (6 weeks ±) or a few weeks each year. /// Any walker who considers him/her self a walker must do it. 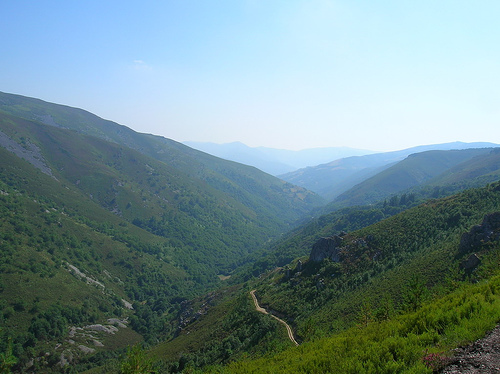 ///// Another great walk: the Robert Louis Stevenson walk in France's Cevennes." We'd like to hear from the Walko friend who contributed this, but, anonymity. 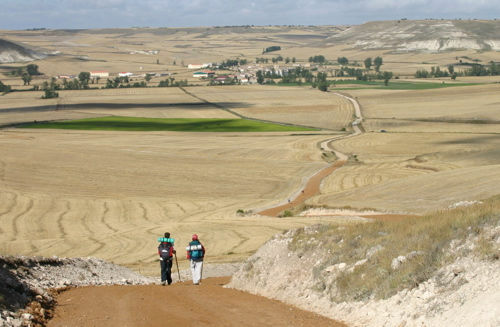 Walkopedia says: Thank you, we would love to hear your thoughts on the Camino! 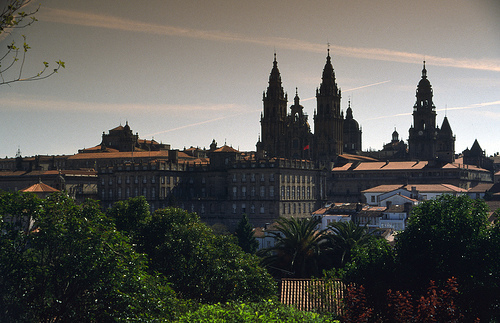 There are many different routes to get to Santiago de Compostela. Generally the most popular are also the most crowded and declared official routes. However, there are some secondary routes that lead to the main Caminos. I love walking the Camino de Santiago, specially the Camino del Norte as I think its the most beautiful Camino, specially during the summer.